Let’s look at Generic Routing Encapsulation (GRE) | CCIE or Null! Generic Routing Encapsulation, not much to say about it, its generic right? Well, it’s pretty tough to find a network that does not utilize GRE tunnels in one way, shape, or form. Whether they are Encrypted GRE tunnels or GRE tunnels riding over IPSec tunnels for branch connectivity chances are GRE is being used somewhere in your network. After all GRE provides us with various features that traditional IPSec tunnels do not offer us. Such as allowing multicast traffic to traverse the tunnel providing us scalability with the use of a routing protocol. It provides us these features because of how it interacts with the IP packet, some people refer to GRE as a layer 3.5 protocol because of how it encapsulates the existing layer 3 IP packet. Notice you can see two sets of IP address in that packet, the first set of IP addresses (10.0.0.1 & 10.0.0.2) are the tunnel addresses, the second set of addresses under the GRE header is the real data that was sent through the tunnel, and it’s simple ICMP echo request from 1.1.1.1 to 2.2.2.2. And for a closer at the fields within the GRE encapsulation. 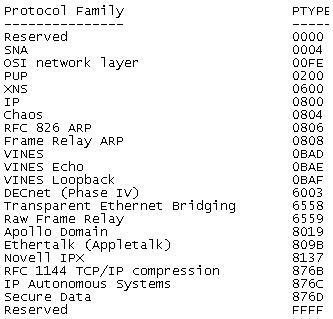 Also notice the protocol type at the bottom, GRE can be used to encapsulate more than just IP Packets SNA, IPX, Appletalk and quite a few others can also be encapsulated with GRE. More information can be in RFC 2784 which explains the IP Packet fields in greater detail then I covered here. However, there are a few things that can be a little rough to get the hang of at first. The first thing unlike physical interface you can declare tunnel interfaces from configuration mode and you can start at any number. Now like any other interface you will want to assign your tunnel its own IP address since these GRE tunnels operate around layer 3 they will need IP addresses on the same subnet so both tunnel interfaces can communicate. The only other requirements for configuring a GRE tunnel is specifying the tunnel source and the tunnel destination. The tunnel source can be a physical interface or an IP address just keep in mind the tunnel source needs to be local on the router. The tunnel destination is going to the address of the remote router you are terminating the tunnel to. You will want to make sure the tunnel source and tunnel destination configured have connectivity to each other since it is between these addresses the GRE tunnel will run over. There you go, GRE in a nutshell! « Debugging a specific IPSec VPN.